The objective of this book … is to discuss the various technological aspects related to homeland security solutions. … focuses on privacy and other related social issues, which are of conflicting interests with the surveillance operations necessary for the working of homeland security solutions. —Jaydip Sen, Senior Scientist, Tata Consultancy Services Ltd. Effective Surveillance for Homeland Security: Balancing Technology and Social Issues provides a comprehensive survey of state-of-the-art methods and tools for the surveillance and protection of citizens and critical infrastructures against natural and deliberate threats. Focusing on current technological challenges involving multi-disciplinary problem analysis and systems engineering approaches, it provides an overview of the most relevant aspects of surveillance systems in the framework of homeland security. 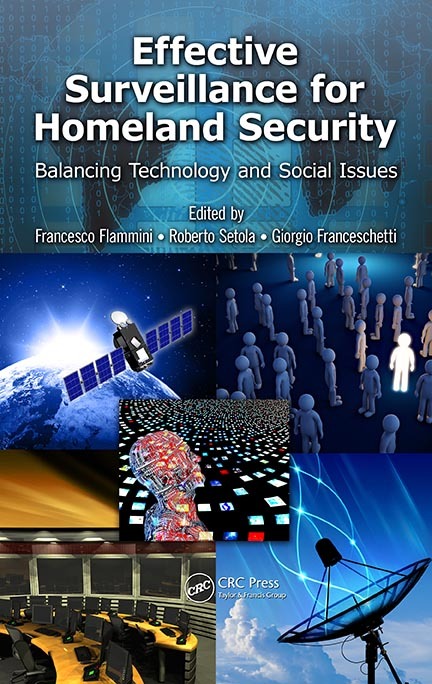 Addressing both advanced surveillance technologies and the related socio-ethical issues, the book consists of 21 chapters written by international experts from the various sectors of homeland security. Part I, Surveillance and Society, focuses on the societal dimension of surveillance—stressing the importance of societal acceptability as a precondition to any surveillance system. Part II, Physical and Cyber Surveillance, presents advanced technologies for surveillance. It considers developing technologies that are part of a framework whose aim is to move from a simple collection and storage of information toward proactive systems that are able to fuse several information sources to detect relevant events in their early incipient phase. Part III, Technologies for Homeland Security, considers relevant applications of surveillance systems in the framework of homeland security. It presents real-world case studies of how innovative technologies can be used to effectively improve the security of sensitive areas without violating the rights of the people involved. Examining cutting-edge research topics, the book provides you with a comprehensive understanding of the technological, legislative, organizational, and management issues related to surveillance. With a specific focus on privacy, it presents innovative solutions to many of the issues that remain in the quest to balance security with the preservation of privacy that society demands.